With support from the John D. and Catherine T. MacArthur Foundation, CGRS and Kids In Need of Defense published this comprehensive report with recommendations for reform consonant with recognized principles of child protection grounded in practical experience, and litigating cases with potential to set improved standards applied in children's cases. The report urges lawmakers to reform the U.S. immigration system for migrant children who are coming to our borders with surging frequency. They come, often unaccompanied by an adult, in search of safety, stability, and protection. These children face a system that was created for adults, does not provide them legal counsel, and is not required to consider the child’s best interests, despite the potentially enormous impact of the proceedings on the child’s life and future. In March 2013, CGRS launched a new multinational project funded by the MacArthur Foundation on the situation of unaccompanied children through the migration corridor of Mexico, Central America, and the United States. Learn more about this initiative and our work to examine child welfare policies, the treatment of migrant children in each country, and what happens to children following repatriation to their countries. Read the Executive Summary and our recommendations in English, or in Spanish. 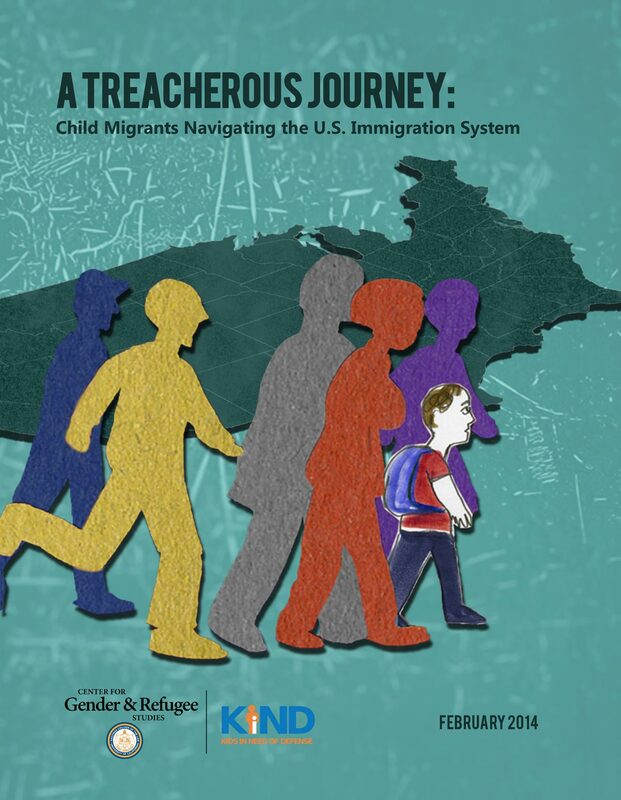 See the full report - A Treacherous Journey: Child Migrants Navigating the U.S. Immigration System.